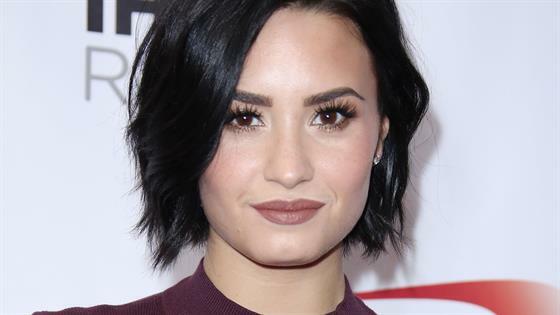 Demi Lovato Threatened By Her Team To Go To Rehab! Demi Lovato had one of the most successful careers in the industry, but her recent incident of drug overdose made her fans change their opinion about her. She has been fighting hard to get rid of her addictions, but time and again she has refused to accept help. Now, it has been reported that her team is now really pissed at her and have threatened her to go to rehab. Will she go to rehab? Demi lost to drug addiction amidst fame and popularity! Demi thought talking about her addiction would help her stop! But it didn’t! Demi’s addiction was far beyond repair, she revealed some shocking craving moments in the past, “I would smuggle it basically and just wait until everyone in first class would go to sleep and I would do it right there. I’d sneak to the bathroom and I’d do it.” She tried to get sober for a while! Demi promised she would get help! Everyone was scared after her recent overdose! After overdosing on drugs, Demi immediately collapsed and was rushed to the hospital. She risked her life big time after consuming so much drugs, law requirement said the artist was treated with Narcan. She still refuses to seek help! Demi’s team is planning to send her to rehab. In spite of Demi refusing to go to rehab, her team, friends, and family who are concerned for her health have decided that she does need help. Her mother even hired addiction specialists and psychiatrists who help get rid not only of her addictions but also help treat her mental issues! Demi’s team have threatened that they would quit their job if she doesn’t accept help! Her team has finally drawn the line, they have given her an ultimatum either she needs to go to rehab or they will quit their job as her team. An insider revealed what her teammates actually said, “She could die if she doesn’t, and that’s not going to be on my watch that we did nothing.” What will be her decision?? This Royal Couple Is Breaking The Royal Protocols! What They Did? The Real Housewives of Orange County New Season Official News!